We Know Shipping Motor Yachts / Cruisers! motor yacht / cruiser moved anywhere in the world. It is important to have your motor yacht or cruiser transported by experienced professionals for many reasons. First, your yacht is an investment. Only professional boat shipping specialists have the knowledge and experience needed to safely transport a vessel of this size and value safely and legally. 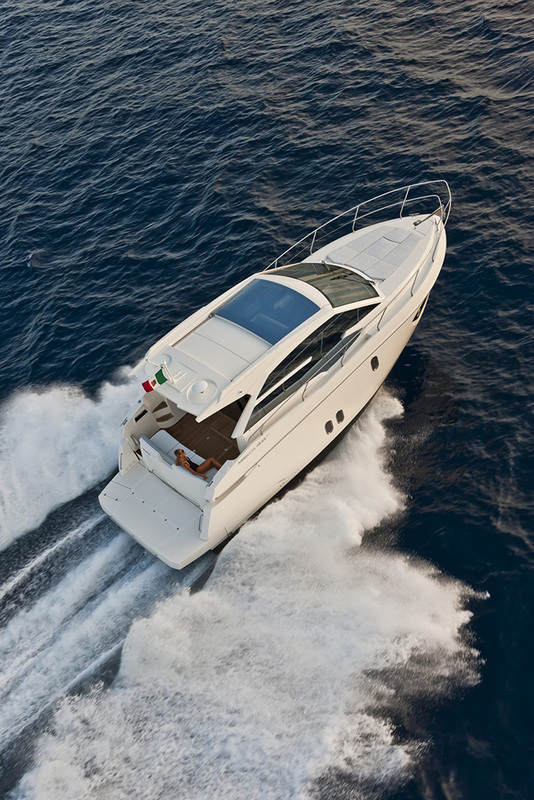 The experts at Nationwide Boat Shipping have extensive experience dealing with motor yachts and cruisers, specifically. We can make sure your investment is properly cleaned and prepped for travel, then shrink wrap it to protect it from the weather and road debris during transport. And an oversized boat is no problem for our team of shipping professionals. You can trust your yacht to us, whether you are shipping a few miles or a few hundred miles. Getting your motor yacht or cruiser ready for transport takes a lot more preparation than transporting smaller boats. Motor yachts require a completely different approach when prepping for shipment, whether traveling across the state or across the nation. These are oversized vessels that exceed the normal limits for transport, specifically in height. Extraneous parts and rigging will need to be removed, along with personal items, and packaged separately for shipping. Nationwide Boat Shipping is experienced in transporting oversized boats. We will carefully prep and load your yacht, obtain all needed permits, and supply a pole car to travel with your oversized vessel. Call (800) 352-8475 to talk with one of our logistics professionals for a free no obligation quote today! No matter where you want to go in this country, Nationwide Boat Shipping can transport your motor yacht or cruiser there. We provide our premium motor yacht transport services to all 50 states, regardless of distance. Our competitive prices make it easy to get your yacht where you need it now. Whether you are heading out on the water for the weekend, moving to a new state, or shipping a motor yacht or cruiser you bought at auction, we can make your boat transport a lot less stressful. "Nationwide Boat Shipping took away all my concerns on getting my favorite "toy" - my jet boat - moved for me! Can't say thanks enough!"